Kanazawa City was part of one of the largest feudal provinces of Japan. where traditional culture is still alive, where you can feel the warmth of its residents. After the war, due difficulties in acquiring ingredients and to respond to changing times, we started producing primarily manju (a bun stuffed with adzuki bean jam) and mochi (glutinous rice cake). 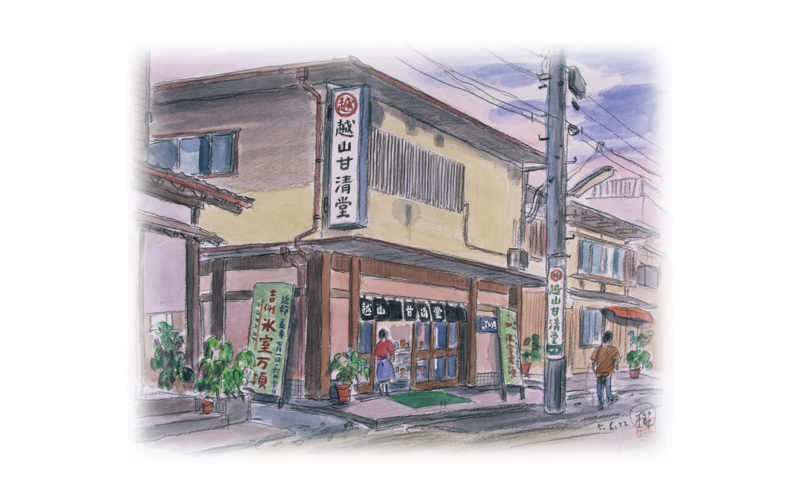 In June 1950, we reorganized ourselves into a corporation as Koshiyama Shoten Co., Ltd. with a capital of ¥500,000. Along with the modernization and redevelopment of the Musashi area, we moved our main shop and factory in February 1972 to Musashi-machi 13-17 (current location). In 2005, Yoshiko Koshiyama, the fifth president, increased the company’s capital to ¥35 million. In March 2009, the main shop and factory were newly built. In July 2011, Yasuhiko Tokuyama was appointed as the sixth president. 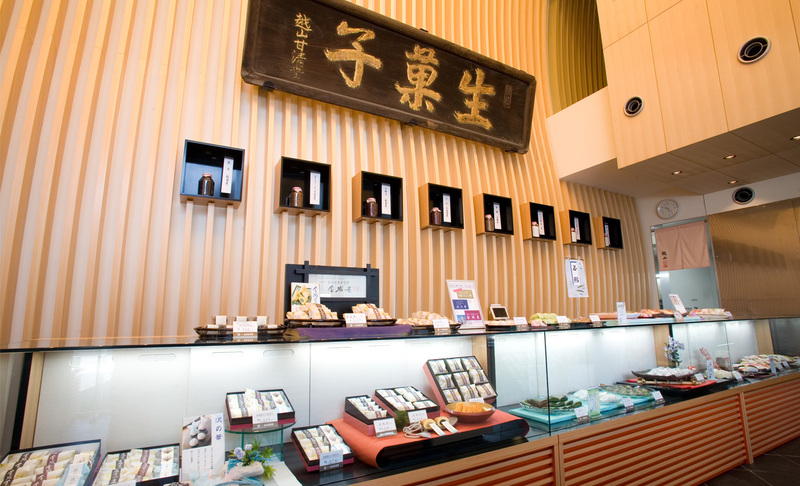 Currently, we have seven shops including the main shop as well as one showroom in Kanazawa City. In addition to traditional confections reflecting the city’s culture and customs, we also have been focusing on making creative sweets using local and unconventional Western ingredients. After the completion of our new factory in 2009, we started making and selling Japanese-style ice cream (Kanazawa Ice Cream). Kanazawa City was part of one of the largest feudal provinces of Japan. It is a castle town where the atmosphere of the past has been preserved, where traditional culture is still alive, where you can feel the warmth of its residents. 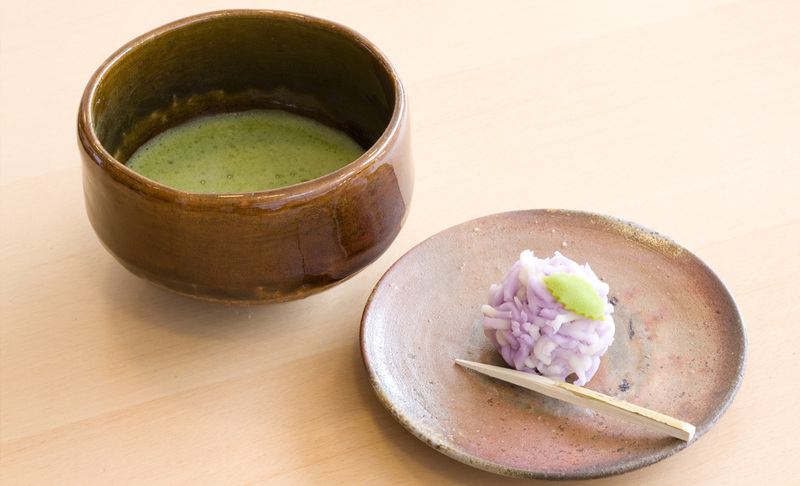 Fostered by tea ceremony culture and our customers, we have preserved our traditional manufacturing methods and use quality ingredients to make confections unique to Kanazawa while also adapting to changes of the times. We use adzuki beans from Hokkaido Prefecture and Ishikawa Prefecture’s Noto Peninsula. We use beet sugar, superfine sugar, and crude sugar. We use different types of wheat flour depending on the product as well as locally produced rice.